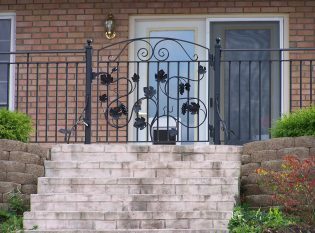 Material and Finish: "Raven Black" powder-coated steel. 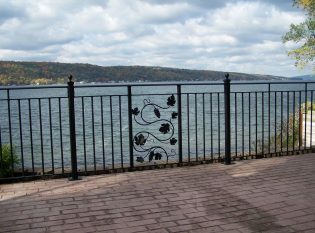 Description: Wrought iron grape motif railing. 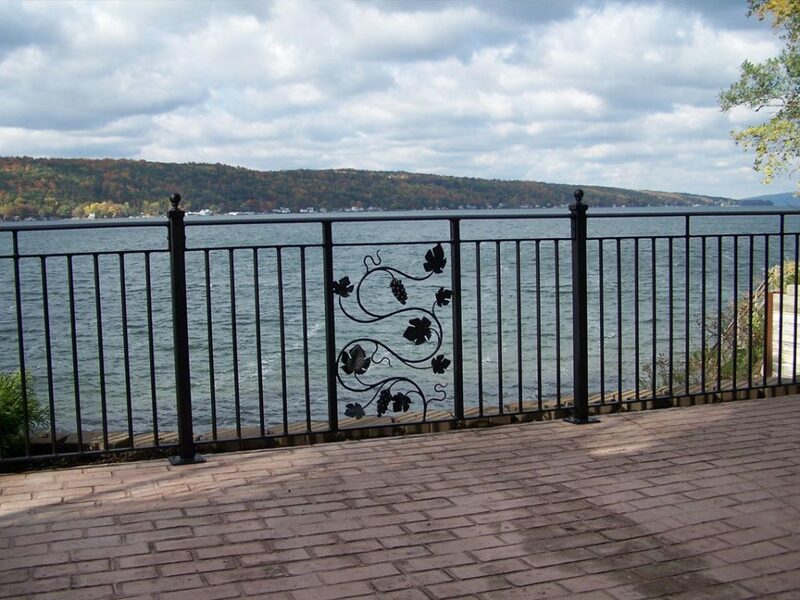 The rich heritage of the Keuka Lake wine country inspired this custom wrought iron railing with a grape motif. 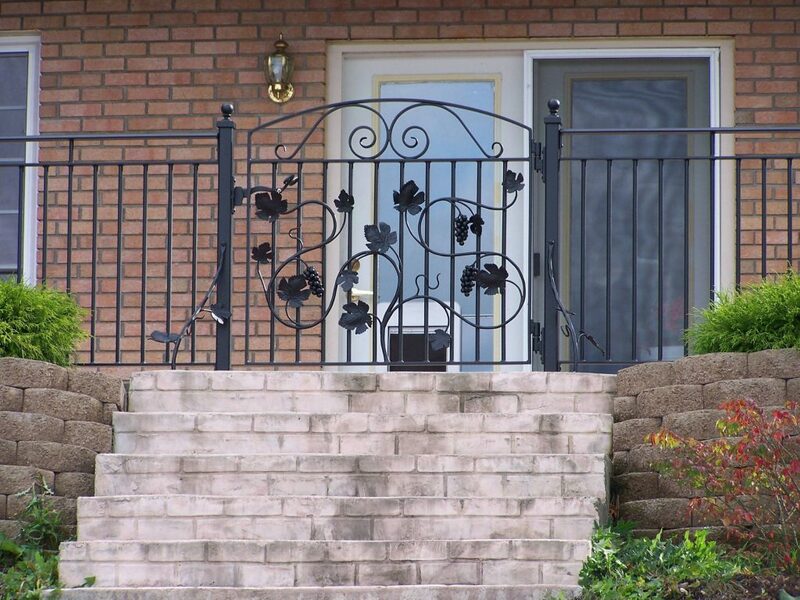 Our artisans hand forged and shaped the vines and grapes with great attention to detail.